Euro Stars Gymnastics continually evaluates their students for skills, progressive learning and a drive to excel. Through the year our team and pre-team coaches regularly coach and evaluate students in the recreational program. 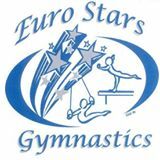 In addition, Euro Stars gymnastics will offer open try outs for pre-team and team each spring. These try outs are open to both current students and the public. USAG requires that gymnasts have reached the age of 5 to compete. Pre-Team USAG Level 2 trains 4 or more hours per week and competes in approximately 6-10, all generally in Michigan. JTP+ is a select group who trains approximately 7 hours per week and compete in approximately 6 fun meets in Michigan. Additional focus on form and conditioning is part of this program. In-House Select team trains 2 or more hours per week in our in-house team classes. Additional conditioning classes are recommended. Girls in this program will compete in three Euro Stars recreational fun meets at Euro Stars. JTP is a select group of gymnasts who are generally age 5-8 who focus specifically on shape and conditioning with a goal of competing for Euro Stars Gymnastics team in the future. Super Star Developmental trains 2 or more hours per week in our Super Star Developmental classes. The focus is on proper form, conditioning and learning to love gymnastics. Girls in this program will compete in up to three Euro Stars hosted meets. Euro Stars Gymnastics Pre-team Consists of Gymnasts training at the levels 1-2 level. They compete in local meets through out lower Michigan.